Looking for a groovy gift? Here's one for you. 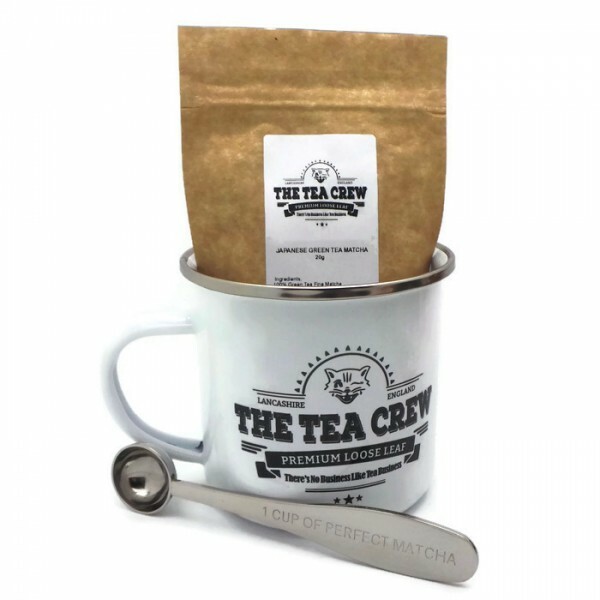 Pick any of our matcha tea samples and we'll pack it up with our retro style Tea Crew enamel mug and a perfect matcha measuring spoon. The mug and matcha set contains a 20g sample pack of matcha tea of your choice. One Tea Crew enamel mug. One perfect matcha tea measuring spoon.